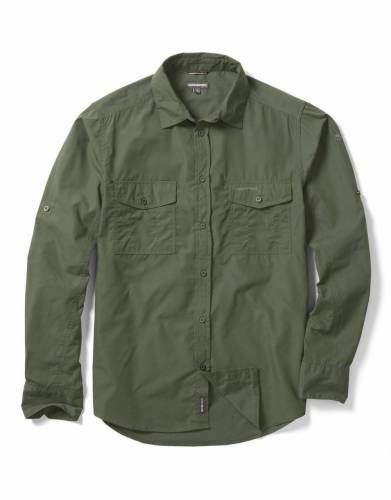 This easy-care, practical, and strong long-sleeved shirt is built to go to the other side of the world and back. 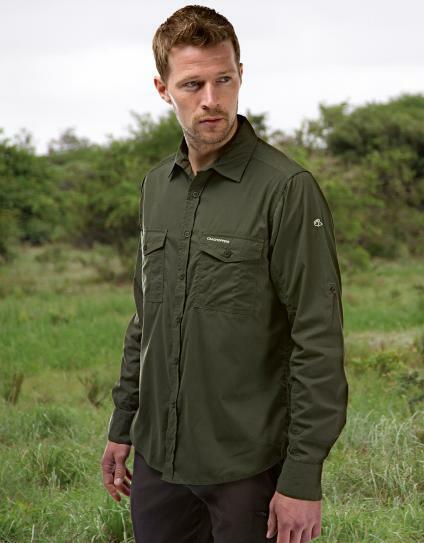 Offering built-in UPF50 and a SolarShield collar, it is a great choice for warm outdoor destinations. Together with the NosiDefence fabric which prevents biting insects from penetrating the fabric strucutre, this long-sleeved shirt is built for outdoor protection. Roll up the sleeves as the day warms up for comfort. 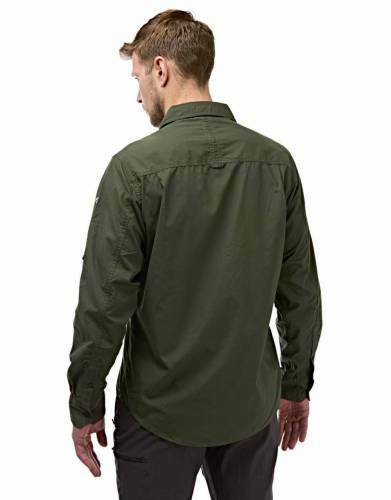 The drying loops and Wash and Wear technology makes this a shirt you can hang without pegs which is also quick to dry and doesn't require ironing. 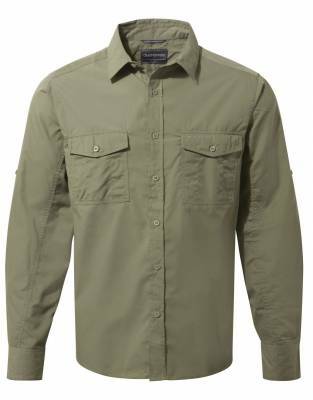 This stylish and fresh shirt is made for the rough and tumble of the trail. It is an impressive shirt which will deliver impressive performance season after season. ⊙ NOSIDEFENCE: NosiDefence has been engineered to prevent penetration from insects through the weave of the fabric. ⊙ WASH AND WEAR: The fabrics used to make this garment give total ‘easy care’ attributes. This is achieved either through the use of crinkle weave constructions or by the addition of a finish that encourages creases to simply drop out. ⊙ SOLARSHIELD COLLAR: The Solarshield fabric technology has been tried and tested to give you protection from harmful rays. ⊙ DRYING LOOPS: These loops allow you to hang your shirt up without using pegs. 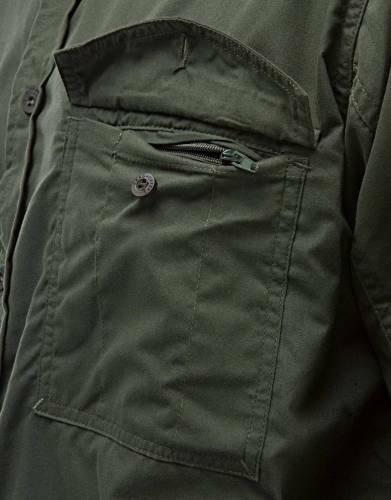 ⊙ ROLL-UP SLEEVES: Roll up your sleeves when the weather requires it and secure them with a handy tab. 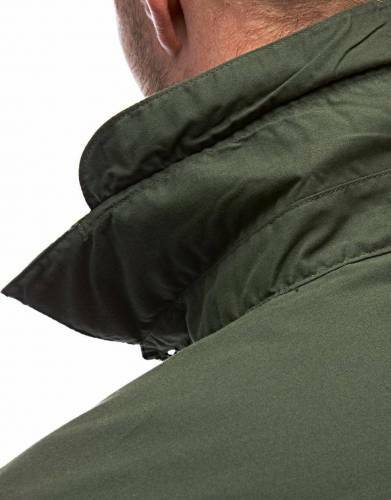 ⊙ MATERIAL: Made from 65% Polyester 35% Cotton lightweight, quick-drying, Nosidefense material with UPF50 sun protection. ⊙ CLEANING INSTRUCTIONS: Please always follow the wash care instructions on the label on your garment.